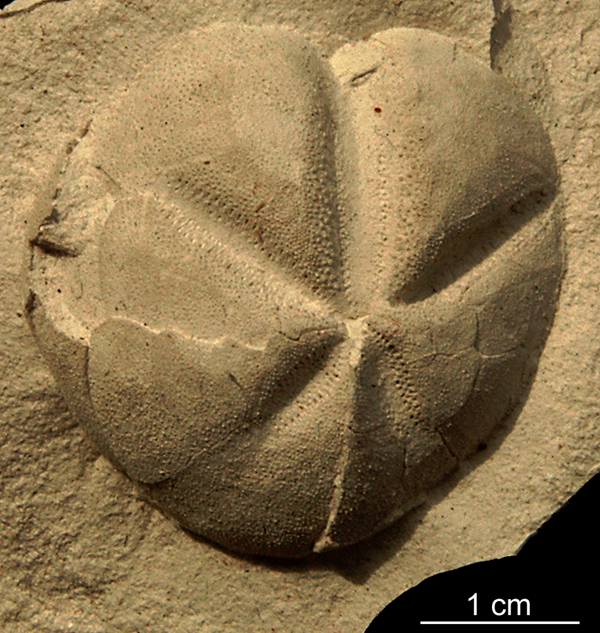 I agree with fossile, it is an echinoid or the impression of one. The "arms" of the "starfish" are the ambulacra of the echinoid. I can see what you are talking about, this is the positive side of the fossil. 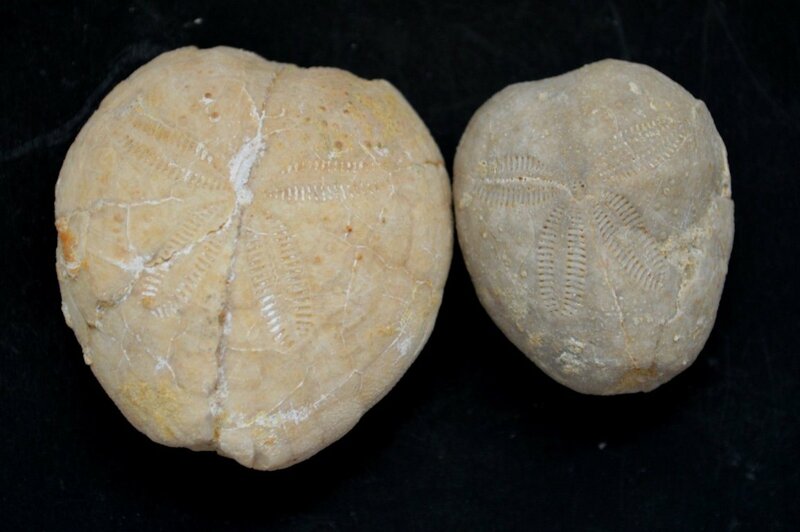 The fossil is 3D rather than an impression. There was a concretion on top of this that was weathered and fell apart. I do see how it looks like a sea urchin though. 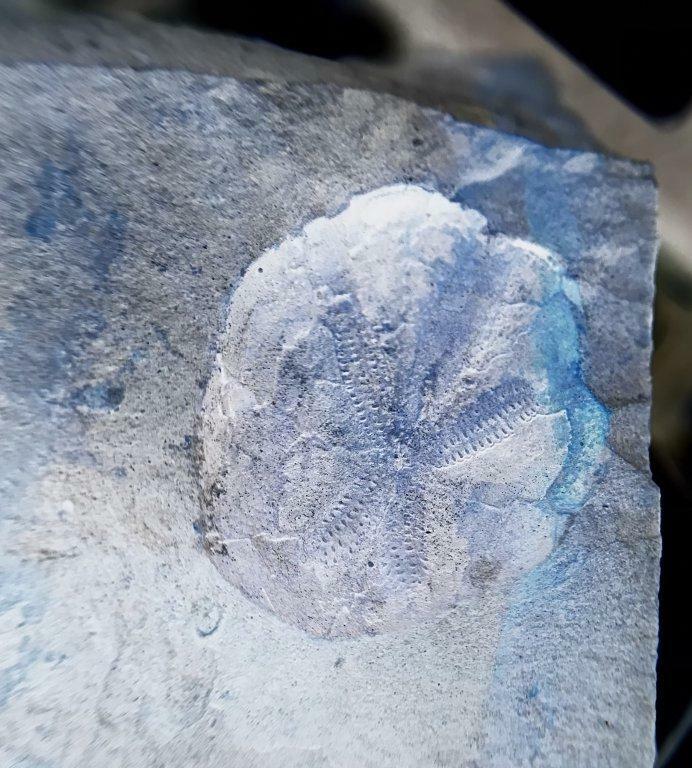 The fossil is sitting inside of the impression rather than an imprint of a fossil if that makes sense. The whole cavity including what you see as 'arms' is (or was) an echinoid/sea urchin, it was not a concretion that dissolved out. 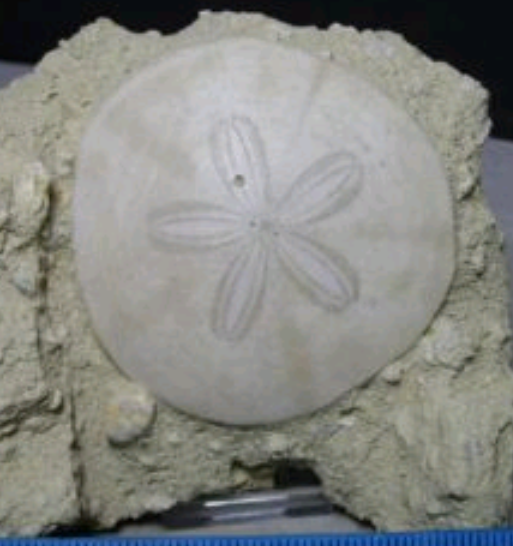 The body (shell) would have been a biscuit-shaped thing with 5 'petals' on its top surface, called ambulacra. Nice specimen even if it is just an impression/negative/mold. Here's a couple more off Google to give you a better idea of the patterning. 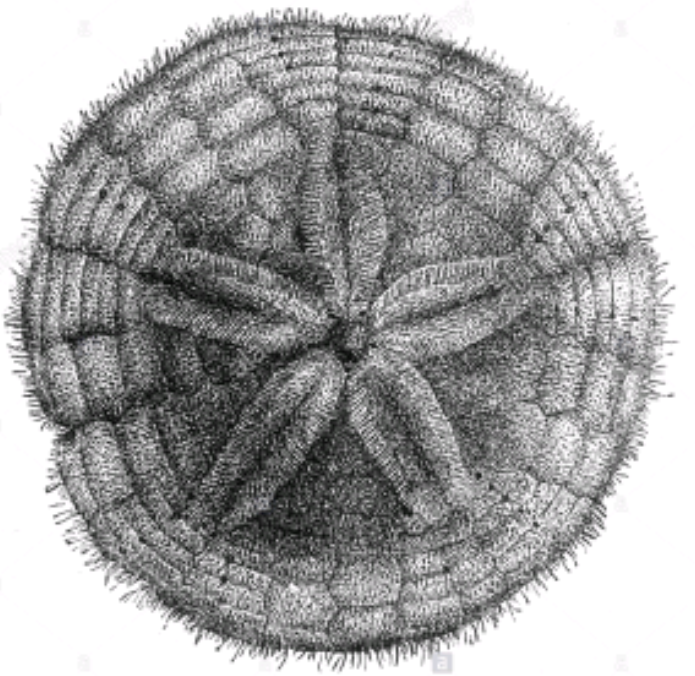 Ah, that last picture with the ambulacra indented into the urchin definitely shows that it is indeed an urchin. Thank you! I wish the actual body had stayed intact. It completely disintegrated when I picked it up. It did look like a concretion though. 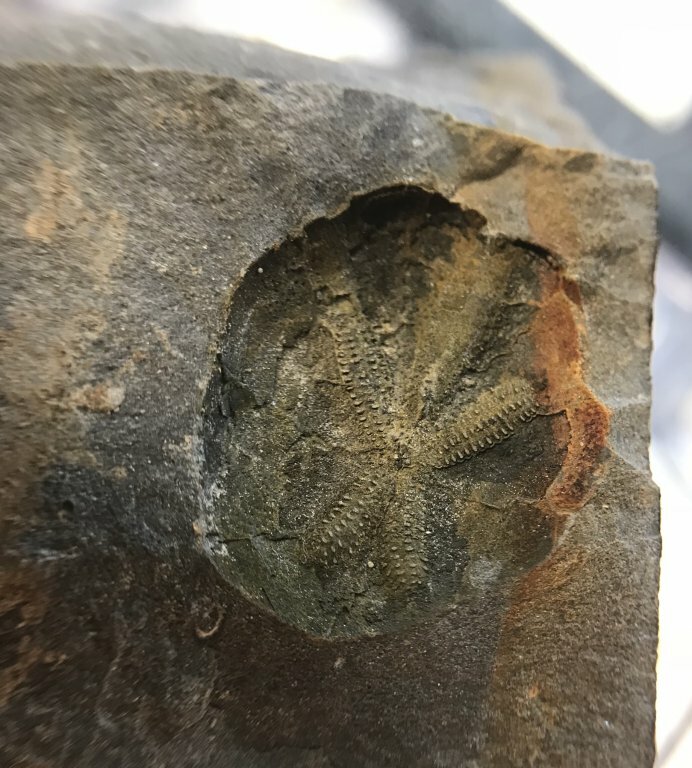 I find many concretions where I found this. Very first sea urchin I have ever found there. Mostly Pulalius vulgaris in that area. You could make a nice positive by filling the depression in with latex or dental compound. Nice find for the area you are hunting in. Sometimes a reversed image will bring out more details of moldic fossils.